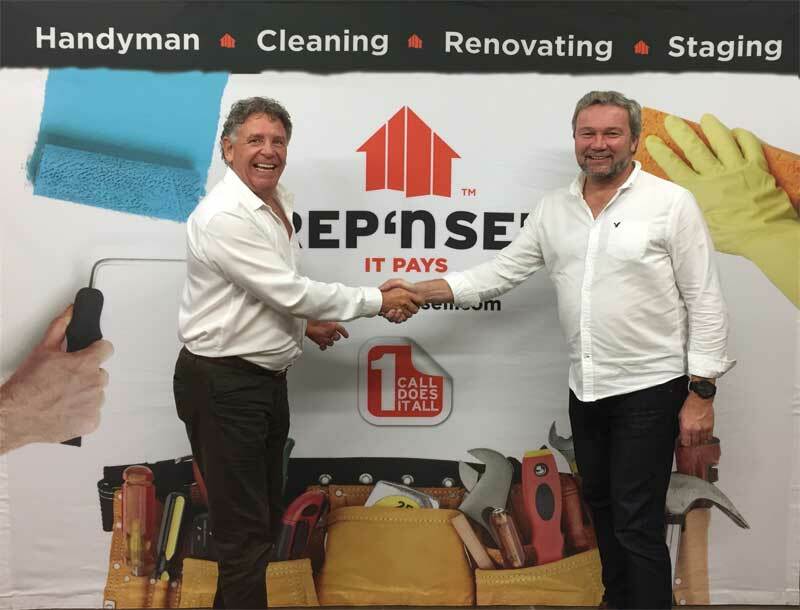 Prep ‘n Sell founder Dave Collier (left) is a tradesman and contractor himself, but with a level of entrepreneurial spirit that is rare in the industry. He is always interested in hearing new ideas. With this franchise, I spend as much time networking with the trades as I do with real estate agents and their clients. The hardest part of this business is connecting with suppliers of our services, i.e. finding high-quality tradespeople who can execute our jobs. This is a field where soon there will be more jobs in Canada than workers! For the tradespeople, the benefits of working with me include filling spaces in their schedules with smaller jobs, in between larger jobs for contractors, and working mostly on homes within their area. I also go to our job sites to help them get off on the right foot and I pay them as soon as they invoice me. I want them to see as a helpful, supportive resource. I’m not as concerned about what they charge as I am with the quality of their work. As a result, they take my calls first! Essentially, I’m like a general contractor to them, but for multiple smaller repair jobs, which general contractors do not usually take on. Prep ‘n Sell is a model that can be successful in both strong and soft times for the real estate industry. Agents want to make their clients’ houses stand out, whether it is to increase the price in a seller’s market or to attract attention and accelerate the sale in a buyer’s market. This is important when foreign ownership rules and mortgage qualifications are being changed, as we are seeing in British Columbia. On any given day, I’ll get one call from a real estate agent, one from a tradesperson and one from a homeowner. As such, I’m dealing with all different personalities at all different speeds. Rightfully so, the agents can be demanding, the trades can be skeptical and the homeowners can be emotional. A Prep ‘n Sell franchisee has to manage all of those personalities throughout their day. And you have to have an eye for what is appealing, in line with current trends. You have to have an appreciation for high-quality craftsmanship. While I can manage each aspect of my business, ultimately, the majority of my time should be spent working with real estate agents, as they are our greatest source of referrals. I had a very successful first year. I constantly looked for the best suppliers to keep costs down, so now I can start to bring more people to take on more jobs. Dave and I have discussed what going multi-unit could look like in the future, but in the meantime, I have a bookkeeper and my first full-time position will be for an operations manager. Ultimately, the majority of my time should be spent working with real estate agents, rather than managing each aspect of the business. At the beginning, I had a lot of trepidation. I understood business, but there was a lot about Prep ‘n Sell’s field I did not know. In terms of training, Dave walked me through the company’s previous jobs. 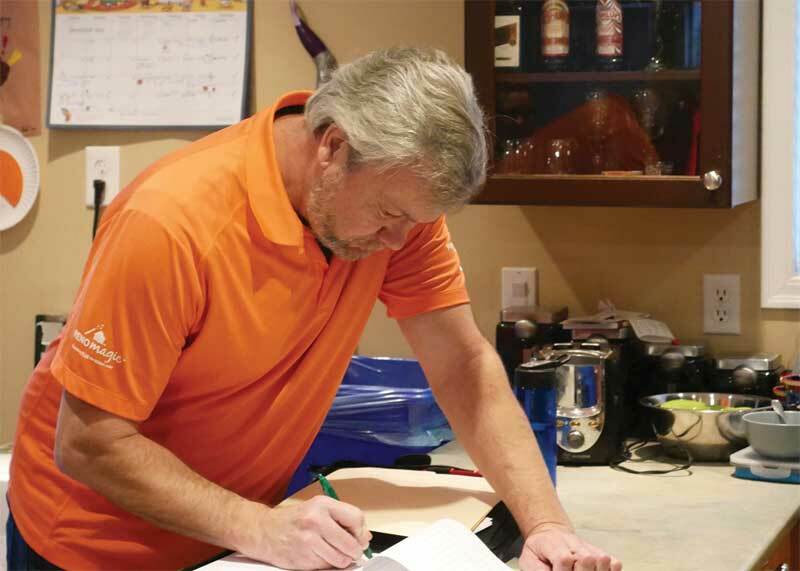 It’s hard to put together a manual for a franchise where the work is different every time! Out here, for example, we do lots of exterior pressure washing, which is not as common in Ontario. We have more rain, they have more snow. And the houses are generally newer here, so we do not encounter knob-and-tube electrical systems like they still do in older Toronto homes. I have become a lot smarter about this business than I was a year ago. Now I get excited about it when I talk with prospective franchisees. It’s a real-life education! Outside of work, I enjoy the outdoors with my Bernese Mountain Dog, Sadie, playing hockey and spending time with my daughter, who is still local. I also volunteer with several organizations, including Habitat for Humanity Vancouver, where I hold a board position. I know true happiness lies in meeting and interacting with new people from every walk of life and hearing their stories. I try to surround myself with good people and enrich their lives as they do mine. Richard Foster is a Prep ‘n Sell franchisee in Langley, B.C. For more information, contact him via e-mail at rfoster@prepnsell.com.